Two-day (27th & 28th March, 2019) training on “Imagine YaR Ministry: Journeying Together into Tomorrow” (Training of Trainers) at Chiguru Children’s Village, conducted by National Forum for Young at Risk (YaR), New Delhi and INH Province. 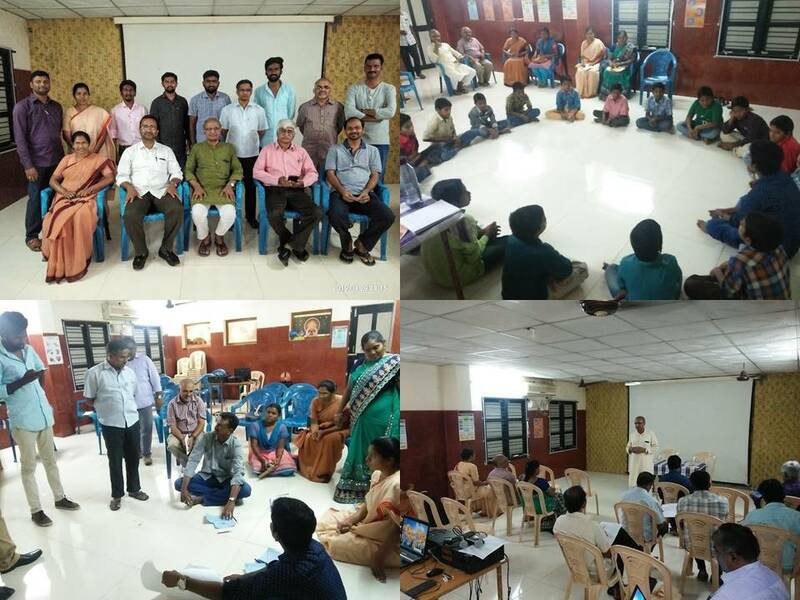 Participants are DB Navajeevan-Vijayawada, DB Navajeevan-Visakhapatnam, DB Navajeevan-Warangal, DB Navajeevan-Hyderabad, DB Navajeevan-Kurnool and Ekalavya Children’s Home-Rajamahendravaram. Every day is a new opportunity you can build on yesterday’s success or put its failures behind and start over again. All had with us on excellent and vibrant personalities of Mr. Joseph Victor Raj and Mr. Vijay Shankar as resource persons. Mr. Joseph began the session by asking the participants to introduce themselves. And look at the future and find out the new ways and means to put into practice in your centres for the better results. Thereafter Mr. Vijay Shankar presented detailed information about the Social Audit tools and stressed on eleven important points about the NGOs. The points are based on society registration, infrastructure, Clothing, Services, Staff/Management, Committees, Registers and Legal Information. Mr. Joseph Raj asked to write three main rights of the Children which they are enjoying at our centres. Participants we’re also asked to explain in brief the rights which they have written. Thereafter the members were divided into two groups and asked to make a chart based presentation on the topic of Internal and External Affairs. After the lunch session began with chart presentation which they discussed in group wise. After the presentation few questions were asked to the assembly and clarified the doubts. Thereafter Mr. Victor sir once again took over the session and explained about the various methods like senses method and their explained advantaged and disadvantages on Focus Group Discussion (FGD) method, Observation method, Social mapping method and Question methods. After the break gathered for a group discussion along with Chiguru Children. Two members were assigned for the discussion. One as a facilitator anther for documentation. In this group discussion we asked different questions by facilitator and children expressed their views boldly and openly. Finally we were asked to give an evaluation.